Hydrogen peroxide secretion, in presence of glycerol produces anti-microbials: Thus natures natural…….. ANTIBIOTIC!!! It is of utmost importance that a balanced microbe population (the ecosystem) in the digestive system of any species always has to be present. In fact, the absence thereof can be fatal. The ecosystem consists of a wide spectrum of micro-organisms, including bacteria, fungi and yeast, protozoa and even viruses. Not all micro organisms are non-pathogenic. In fact, pathogens (which cause illnesses) are part of the normal micro population. 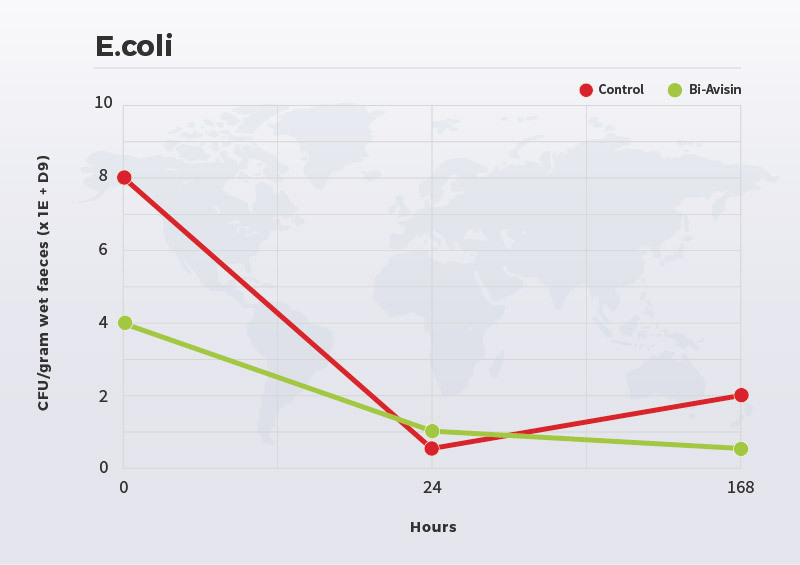 As feed is not sterile, micro-organisms are part of the daily rations. 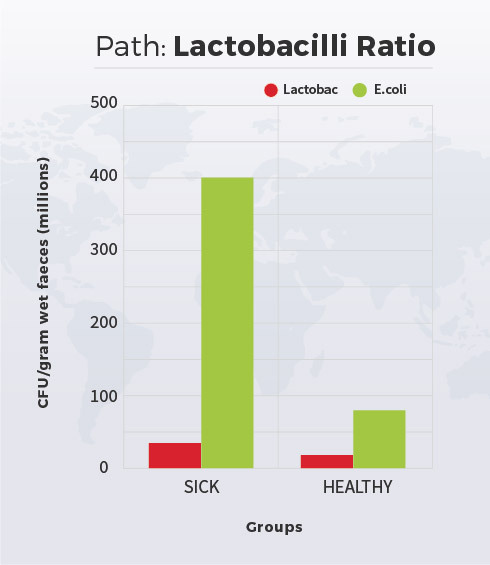 The pathogens are “controlled” by the presence of the advantageous organisms, of which the group of Lactic Acid Bacteria (LAB) plays a mayor role. These LAB can thus be seen as the first defense against pathogens. Another “natural” product: PHYSIOLOGICAL BIOFLAVONOID: The dried LAB culture has been enriched with a very suitable and natural physiological Bioflavonoidic antioxidant, with very interesting characteristics. It is not a vitamin supplement, but increases the natural vitamins A and E’s availability in the liver. It also makes energy more available and has the ability to reduce allergic levels. To summarize: It increases the bird’s natural health status. Babies: Mix the feed with BI-AVIREM at 5 gram per kg feed. Feed continuously or at least twice per week. 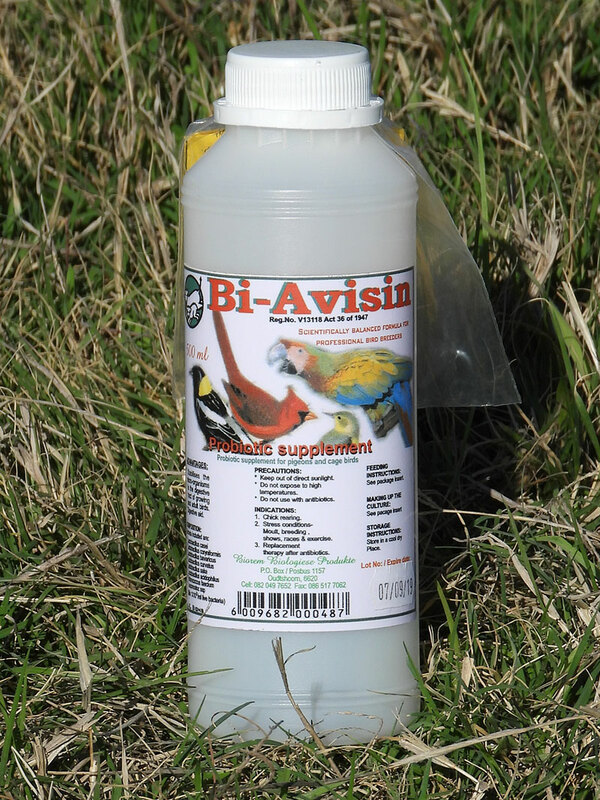 Treat the drinking water with BI-AVISIN at 0,5ml per bird in the cage once or, preferably, twice per week. In a contiuous flow watersystem it can be mixed at 1 part BI-AVISIN to 50 parts of water. In case of stress situations like weaning, transport, quick change in the weather, moult etc., treat daily at 1ml per bird in the water, or orally. 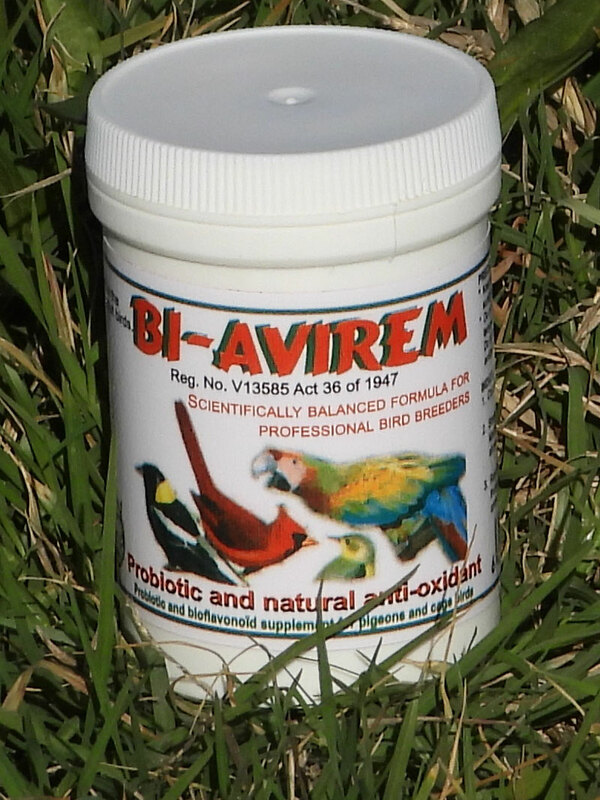 Breeding Birds: Mix the feed with BI-AVIREM at 10 gram per kg feed, at least two weeks before the start of the breeding season. Reduce to 5 gram per kg in the breeding season. 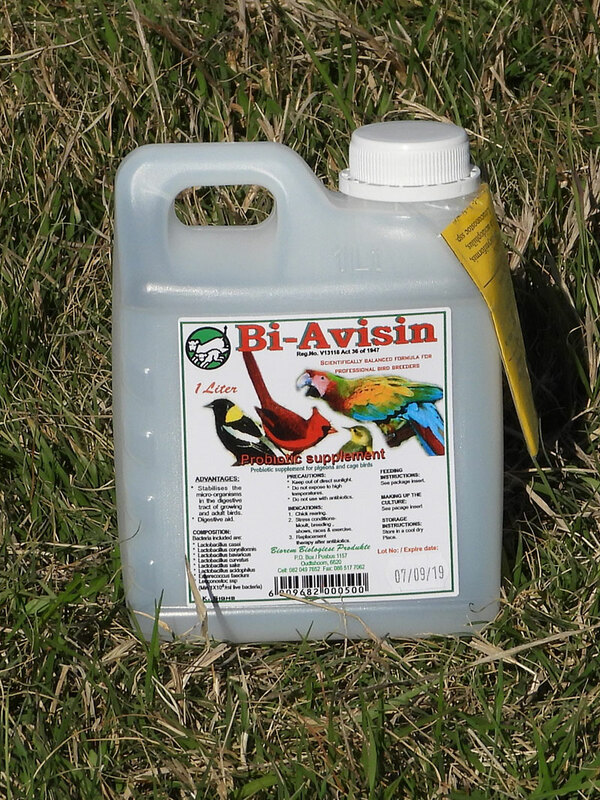 Dose 1ml BI-AVISIN per bird in the cage, in the drinking water, one to twice per week. In case of stress situations like weaning, transport, quick change in the weather, moult etc., treat daily in the water or orally. 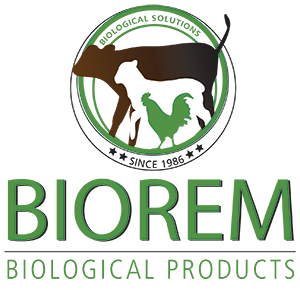 Rest Periods: Treat feed at 5 gram BI-AVIREM per kg feed and dose the drinking water at least once per week with 1ml BI-AVISIN. Antibiotic Treatment: Follow up all antibiotic treatment for at least 3 days at 1ml BI-AVISIN per bird in the drinking water. If grain feed is used, it can be moistened with water or preferably feed grade oil, as well as BI-AVIREM sprinkled over. Raising of Racing Pigeons or Show Birds: Treat as describe in “Babies”. Amend the treatment as describe in “Excercises and preparing for Shows”, when they reached that age. Excercises and preparing for Shows: During excercise, to prepare for racings or shows, it is essential that feather growth must be optimised, to prevent oxidation of muscles, to have the maximum potential energy available and to increase the resistance against illnesses. 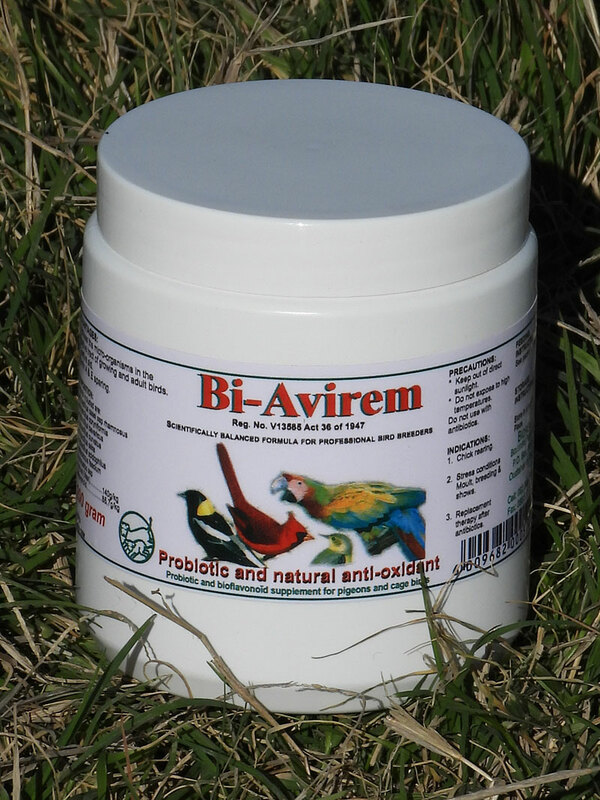 Mix 10 grams BI-AVIREM per kg feed and dose the drinking water at least every 2nd day, with 1ml BI-AVISIN per bird in the cage. Racings and Shows: Treat feed at 10 gram BI-AVIREM per kg feed and dose the drinking water daily with 1ml BI-AVISIN during and up to two days thereafter. Dose the birds orally if it appears that they are stressed and refuse water. The liquid Lactobacillus-culture (BI-AVISIN Reg. Nr. V13118 act 36/1947) is available in 500ml. It is made up 2 days beforehand with 500ml clean luke-warm drinking water. Allow the product to incubate for 2 days at room temperature. It can now be stored in a fridge for up to 6 months. It is important to know that these products are not going to let pigeons perform better than their ability. It will just bring out the best of it available by maximizing the bird’s general health condition. Please use antibiotics only when and as prescribed by your vet.